We are honored to host such a prestigious event and it is our main goal is for everyone to leave happy and healthy. We have a strong racing background!! We have been to Loretta Lynn Qualifiers, Regional's and Nationals many, many times as racers and as of parents of racers. We state this so you know, we know first hand how important this weekend is for you. Our heart and soul is into racing and Dutch Sport Park. We will try everything in our power to give you the best quality event! Rider wristbands will be checked. Kids under 12 yrs old not racing are free. We will open 1 hour after last moto for Sunday. Sat/Sun: $35 per class plus $10 MX sports form if trying to qualify. Sun: Pro AM points and purse. The MX sports form is a 3 part form. Make sure you have you copy and read the information. Pay close attention to the regional entry deadline dates and don't be late with those! Timing and scoring for the qualifier will be provided by Laptimes USA using the industry standard MyLaps Transponders. All riders will be required to have a transponder before signing up to race. Smurf City riders are required to have a transponder. For riders who don't have their own MyLaps transponder, Laptimes USA will have transponders available for sale or rent at the event. Rentals will be $10/day CASH ONLY. A $100 deposit (CASH or CREDIT CARD) will be required on all rentals. Transponder Sales can be CASH or CREDIT CARD. Loretta Lynn Qualifying class chart and days they qualify. It is the riders responsibility to sign up in the correct class and now the limited class requirements. If you have any questions please let us know in signup. Limited Class Chart. A visual check check on the Limited Classes in staging. We will run all District 14 points paying classes both days. The District 14 classes will be matched up to corresponding LLQ classes. We will separate classes into non qualifying and qualifying classes if needed. You may race both days weather you are trying to qualify or not. LL Class 19 & 20 will run on Smurf City (no transponders required). LL Class 21 & 22 (51cc 4-6 & 51cc 7-8) run on big track. Transponder scoring will be used and required for all riders on the big track. NO Refunds will be given once racing starts. Race order will be posted once sign up is closed at 10:30am. We will hand out small race orders. Once race order is confirmed, class listings will be posted on the sign up window. Awards must be picked up day of event. Apparel at the Shirt Shack. The Bird Feeder will be open all weekend offering a wide variety of food. We are the in the Mid-East area region. 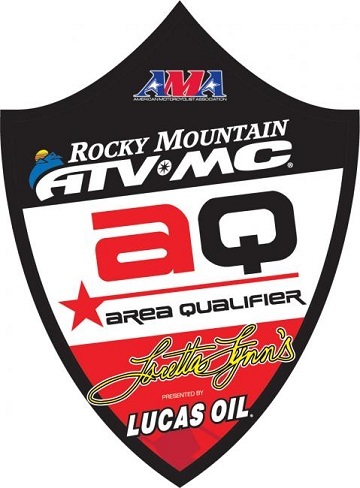 Riders finishing in the top 8 are guaranteed to advance from the Area Qualifier. Be sure to read your mxsports form for regional deadlines. We will be parking vehicles as they arrive. There will be NO SAVING SPOTS. If you want to park with someone please arrive together. Water fill on the north side after gate house. Bike wash behind shirt shack (white house). Flush bathrooms on the north side after gate house. Dump station on the north side after the front gate. Concession stand with a big variety of items. All pets must be on a leash. Please clean up after your pets. Firewood for sale at front gate. Small campfires are allowed, No digging. Anyone under the age of 18 must be at their campsite by 11pm. Quiet time is 11pm, please respect your neighbors – All loud generators should be turned off then. Grocery store 1 mile away. Walmart 15 minutes away in Paw Paw, MI. Be sure to visit our shirt shack for a wide variety of DSP appeal.